Gascony-La Galope are unique bottlings from the renowned Domaine de l’Herre’ winery, an historic property founded in 1974 with approximately 130 hectares of vineyards in the heart of Gascony, at the foot of the Pyrenees, in South-West France. The microclimate of Gascony and the sand clayey soils make a perfect terroir for Sauvignon Blanc and other varietals typically associated with Bordeaux. 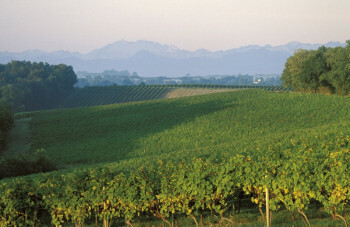 The vineyards are sustainably farmed.